All week I’ve been working at Dallas Market Center assisting buyers with what’s hot to put in their boutiques! All week long there has been one common request, search and desire for spring, summer and fall… that’s the Palazzo Pant. 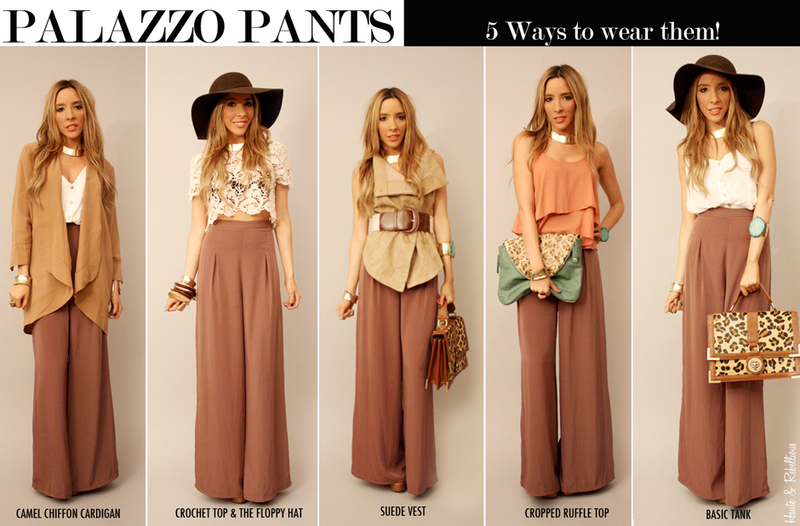 The Palazzo Pant isn’t new but still a great staple for any fashionista. It first entered the fashion world back in the 1960’s and are usually found in lightweight breathable fabrics such as Silk crepe/crape, jersey. Although this is known for warmer seasons, you can find a few in heavier fabrics for winter as well. With the talks of this all week, I thought I’d share some pics of fashionista’s wearing it right! 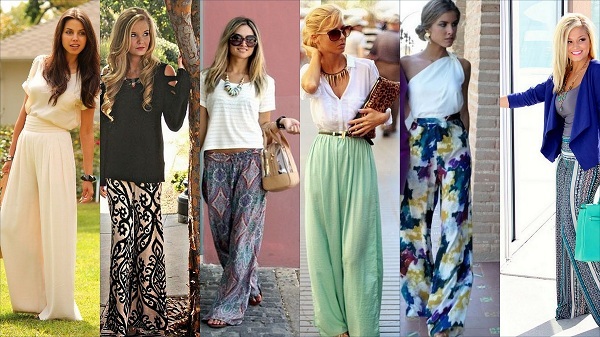 From solids to prints fashionistas are styling these comfortable pants for every occasion. Check out this look for a night out. Very sleek and stylish. 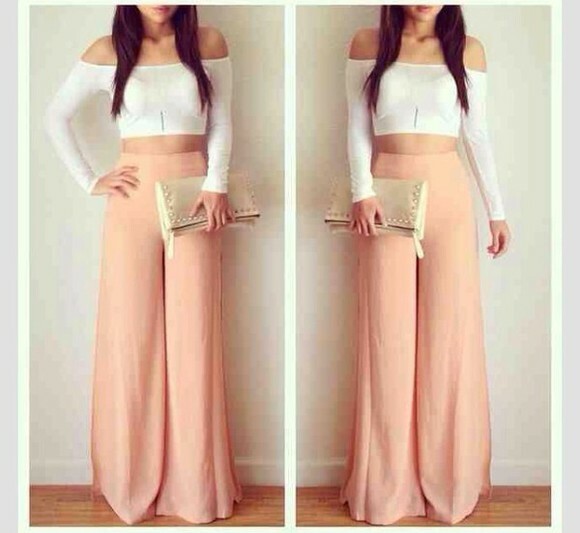 Crop top with high waisted palazzo pant. This style strutter gives her palazzo pants a more edgy look pairing it with gold accessories and hard edges. While this diva makes it more classic transitional look… a look to go from work to a night out. I love the top choice. What about you? Throughout market this week, buyers were ordering plenty of prints in the palazzo pant. Great for summer. 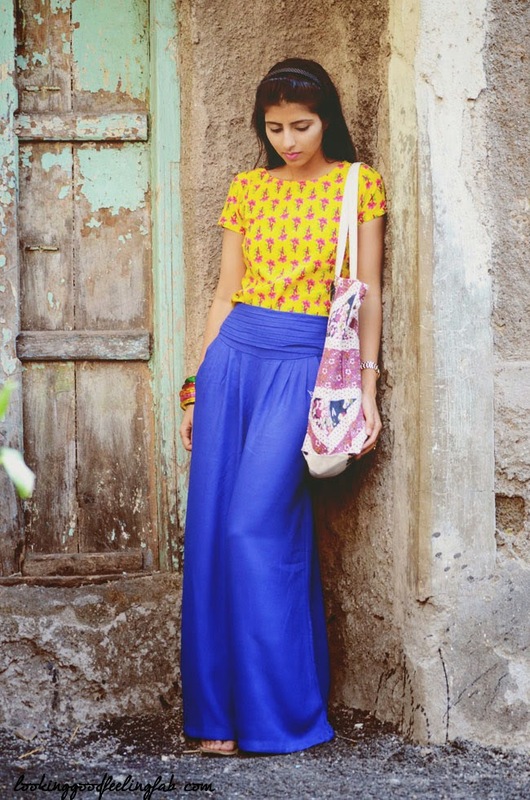 As for solids… I love to see a palazzo pant in bright and bold colors… it creates for such a conversation starter. They can be worn with crop tops, spaghetti straps, loose shirts, fitted tees and much more. The great thing about these pants is that you can make the style your own with accessories and desired top. How are you sporting this trend this summer? Next Post Tuesday TEN – CFDA Style!